The Blaze 100 freestanding wood heater may have a small foot print but it has a proven track record as a powerful radiant wood heater, comfortably heating up to 12 squares. Minimalist in design, the Blaze 100 features a modern stainless steel cast iron door with clean lines that would suit any living space, from rumpus rooms to the man cave. Constructed with 6mm steel and weighing in at only 115kg, the Blaze 100 offers 200mm of rear clearance, allowing it to fit nicely on a standard 900mm hearth. With its small footprint and powerful heating capacity, the Blaze 100 has an impressive track record when it comes to heating, with coverage between 120-160m². 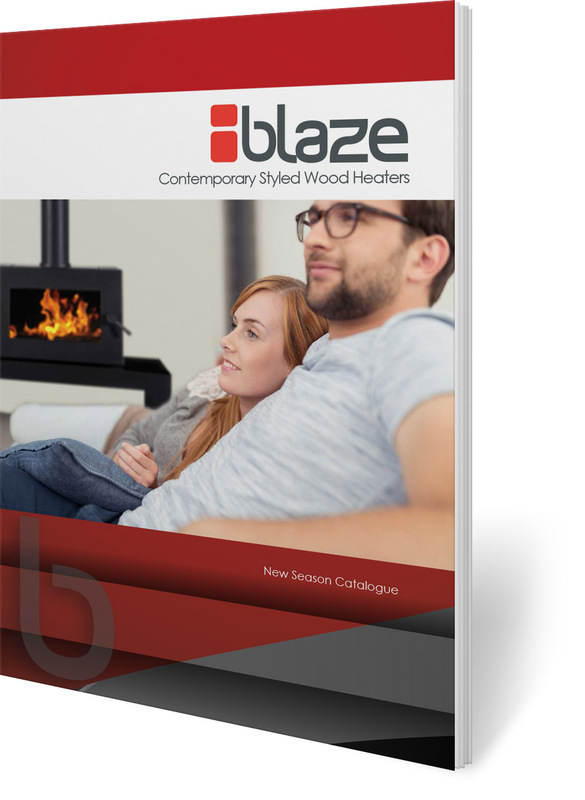 With a peak efficiency of 83% (average 75%) and low emissions of just 0.96g/kg, the Blaze wood heaters operate well beyond the scope that its modest size would suggest. The minimalist design features a modern stainless steel cast iron door with ceramic glass inset, the clean lines evoking a chic and contemporary feel that suits a variety of interior styles. The Blaze 100 is sturdy and sophisticated in equal measure, the construction balancing aesthetics with robust design. Blaze wood heaters are durable and stylish, they are sure to be the perfect fit to any home. With the ability to heat up to 15 squares and an average heating eddiciency of 75% you cant go wrong with a blaze wood heater. Supported by a 10-year warranty and featuring an approved wood storage box below, the Blaze wood heater offers 200mm of rear clearance, allowing it to fit nicely on a standard 900mm hearth. The Blaze 100 is just quirky enough to be uniquely stylish.